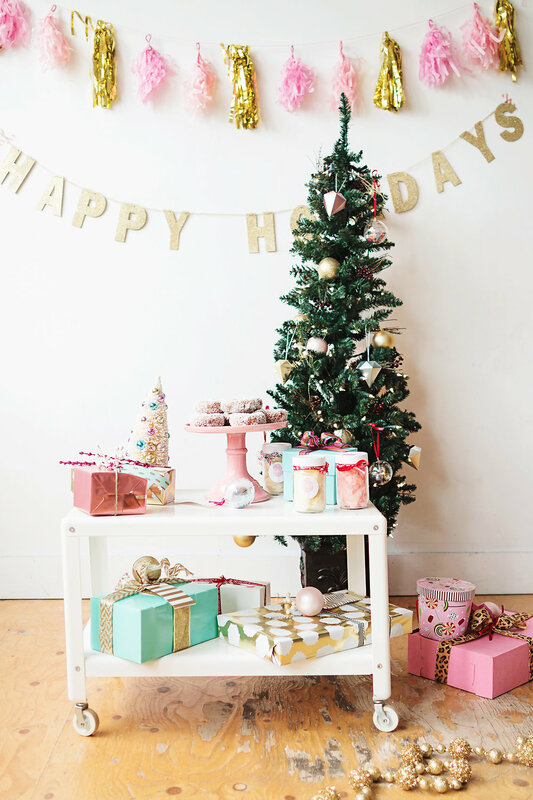 #HolidayBlogSquad - A Very Merry Blogger Holiday | La Petite Noob | A Toronto-Based Fashion and Lifestyle Blog. 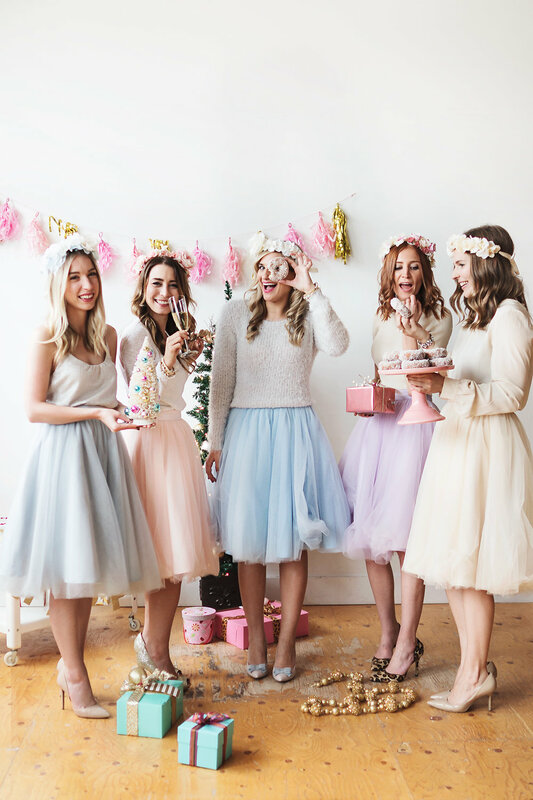 Our tulle skirts are from a locally owned and operated Toronto business called The Pastel Dress Party. 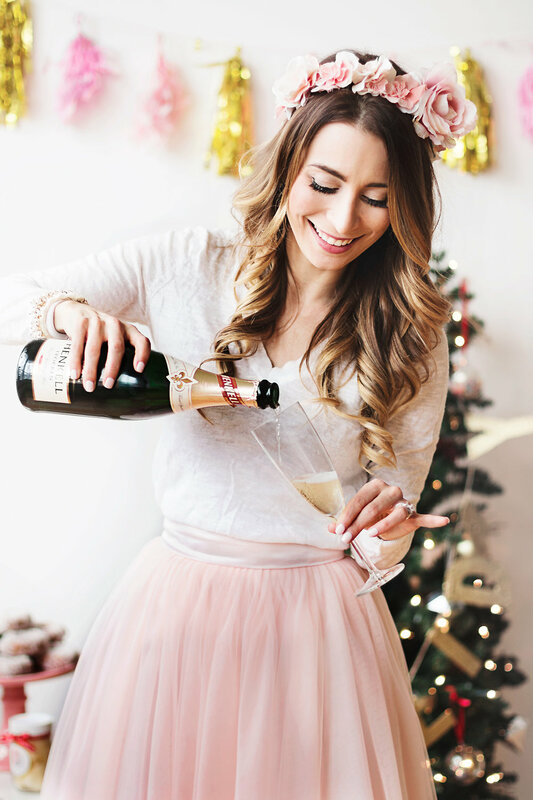 Tulle skirts are an incredibly fun piece to have in your closet, and chasing one of the highest quality is so important. 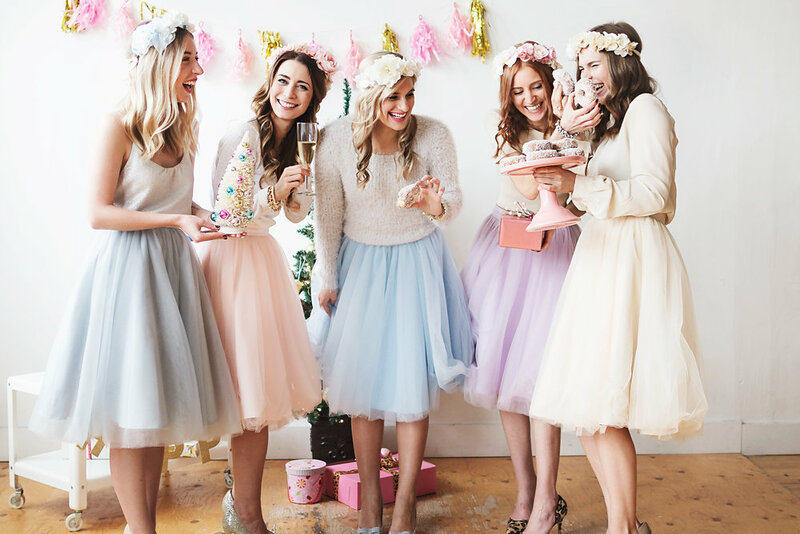 I absolutely love The Pastel Dress Party for their amazing quality, as well as the vast variety their tulle skirts and dresses come in - honestly, the possibility and colours are endless! We're all wearing the Kimmy skirt, and my colour is peach. 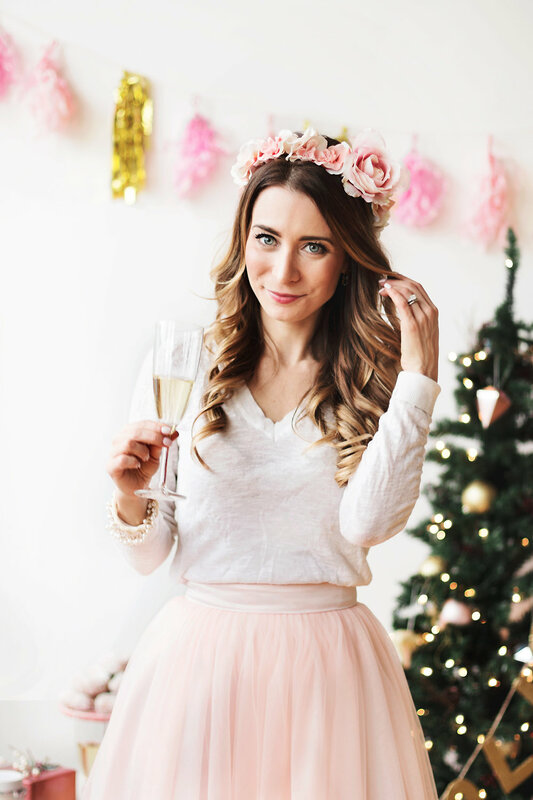 You guys know me and my blush skirts, I can't get enough! 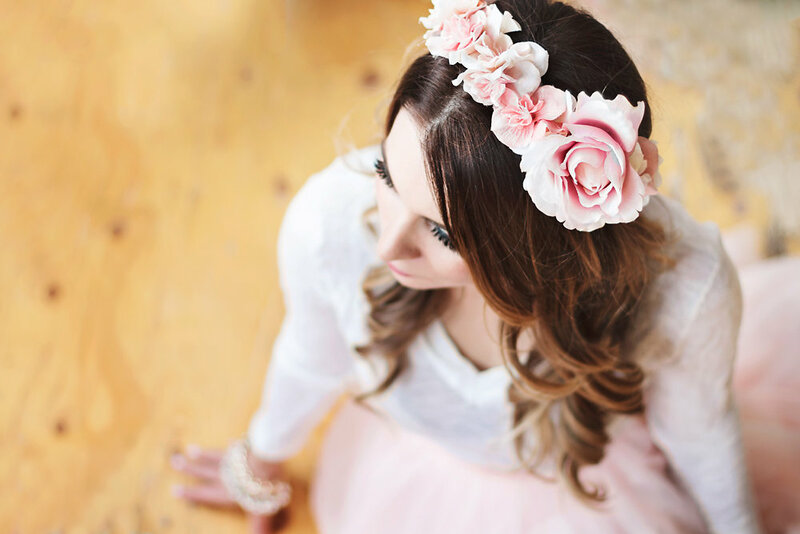 Our flower crowns are crafted by Flower Maiden Flowers, and has us all feeling like holiday pixies - honestly, you really can't help but have fun when wearing a flower crown! Funny story - ever the lush, instead of pretending to sip on my champagne like the other girls I actually ended up downing 3 glasses during the course of the day. The result was a very tipsy Noob who ended up spilling her 3rd glass all over everyone - whoops! 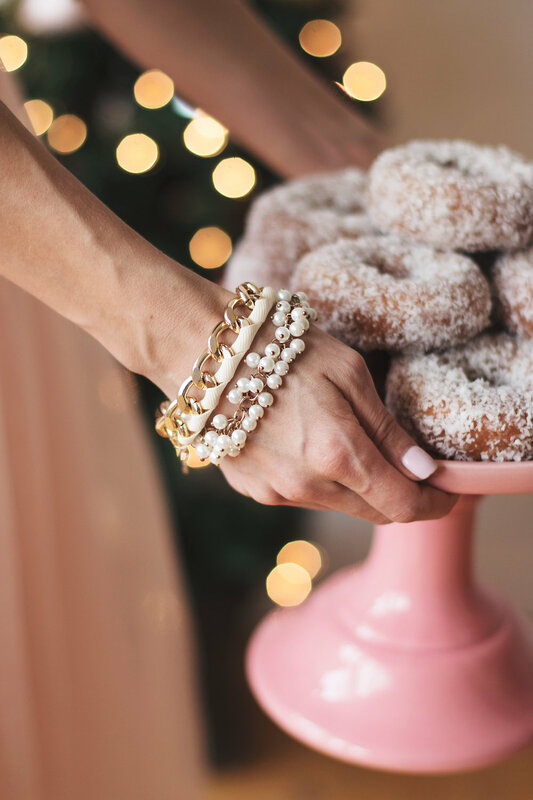 Our jewels are by Cherrypick, arguably the only stop for super-sparkly statement pieces - perfect for the holidays. 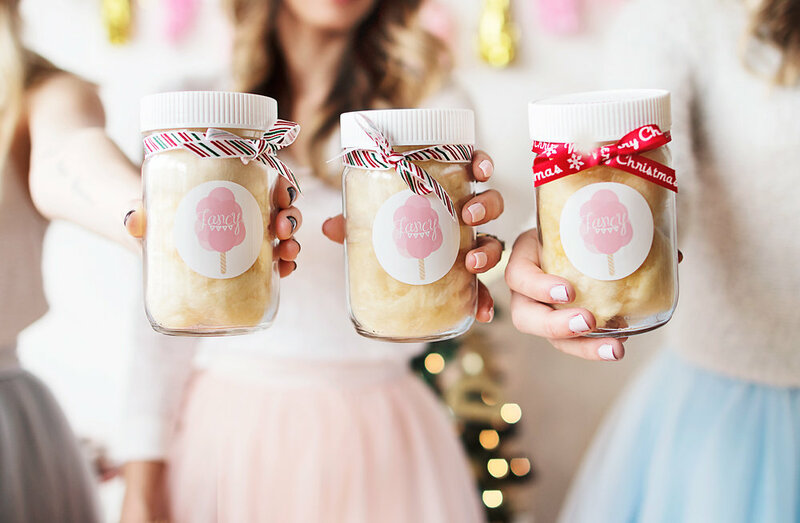 Between photos, the ladies and I had the best time munching and snacking on our cotton candy favours from Fancy Puffs. 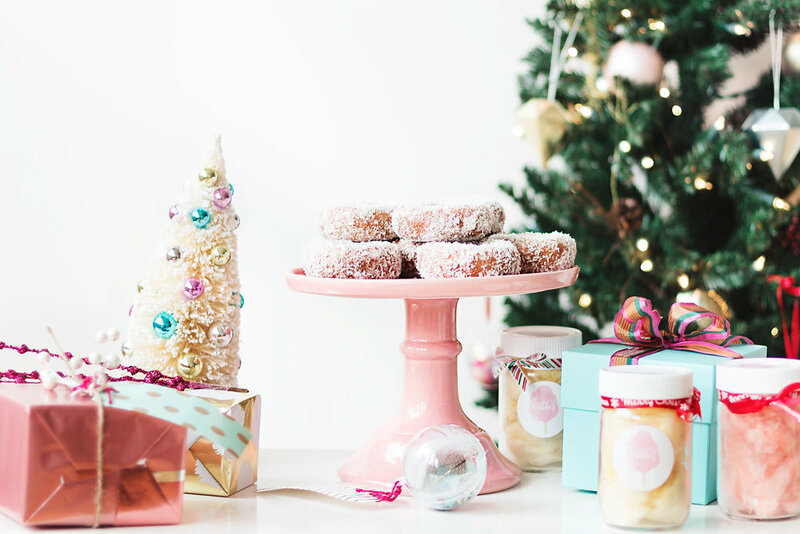 We enjoyed the organic holiday flavour 'gingerbread' and it was seriously the most delicious and complex tasting cotton candy that I've ever had! 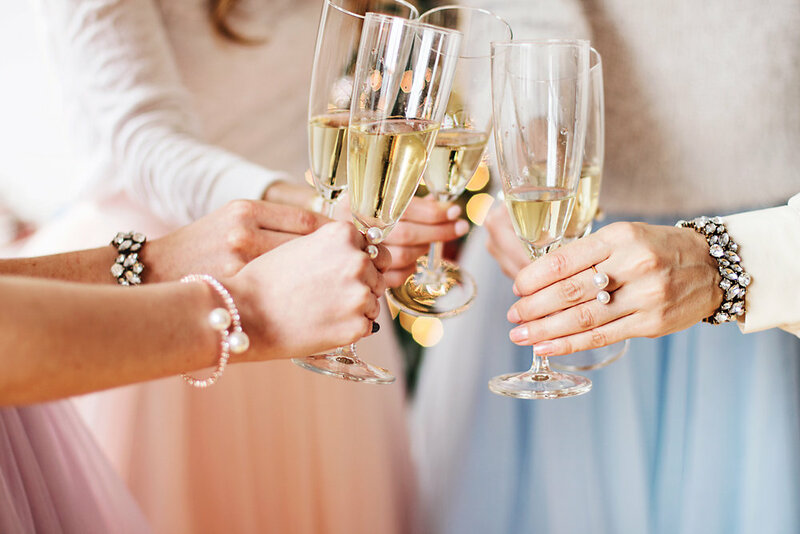 Cheers to a beautiful holiday shoot ladies, I'm so glad to have met you and am proud to call you all friends! 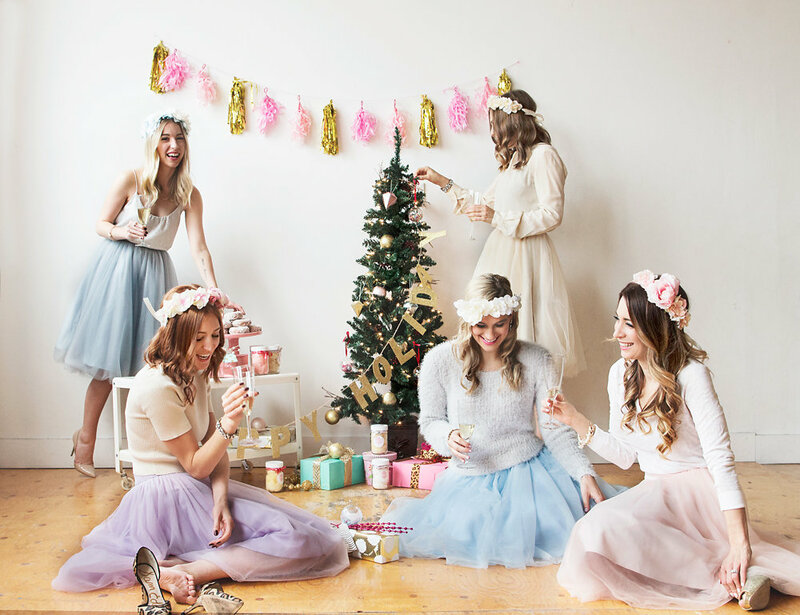 I hope you enjoyed our holiday photoshoot and love looking at the photos from the other ladies. Let me know what you think, I would love to hear your thoughts! 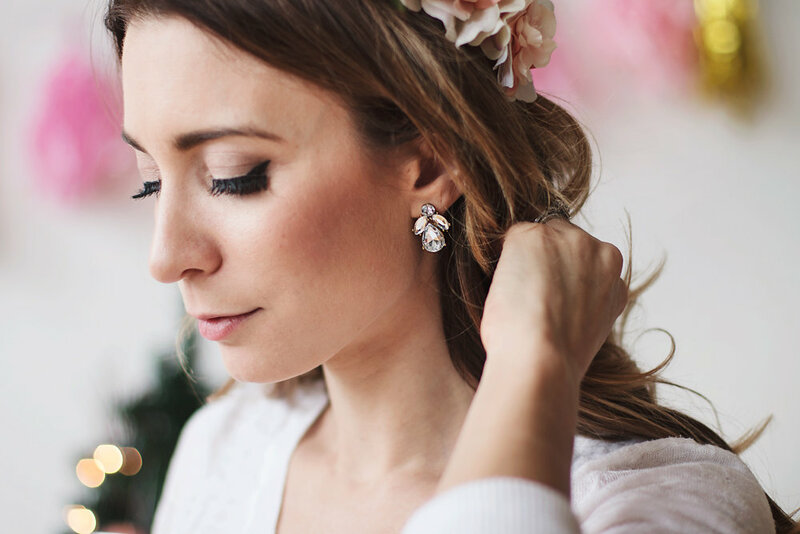 These photos came out looking magical, you girls look like human unicorns! Can't wait to hear more about it over brunch! Aww girls this is sooo adorable, I really love it. LOL cheers to being lushes! So glad that you like this Kris!